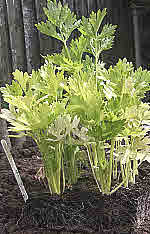 * Get results with flowers, herbs and vegetables. at home. Not only are seed packets low cost compaired to bought plants, but they frequently contain enough seeds for you to grow a garden full of plants and with some saved for next year. But the main advantage for the gardener must be the huge variety of select plants that are available for you to grow from seed. When it's too late in the year to grow your choice from garden seeds try this link - coming later - to buy plants ...you shouldn't miss out. Do you have children around your home? Children love growing seeds. It's constructive, educational and wonderful to see. This page link about growing seeds is to help you and your young family learn the basic essentials of germinating garden seeds. You may even find the answers to some school work as well as a few ideas to try. 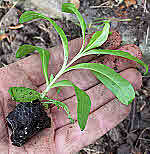 And your garden produces more plants and better value when you raise your plants from seeds. Learn how to improve your seed growing success with help from the next link on starting seeds. You'll discover how to get the upper hand on some garden pests. An early start with seeds is a good way to a beautiful and productive garden year. Seed mats are a big advantage when growing on sloping sites. And you can cut them to the shape of your ground. You can also buy ready spaced out seed mats for your pots, containers and hanging baskets. 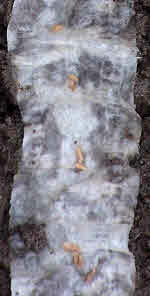 Seed tapes are used for vegetables. Find more on using Seed Mats and Seed Tapes here. Good planning is important when growing vegetables from seed. 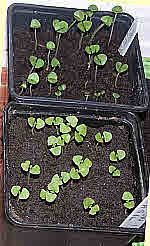 You'll find the essentials of my experience of growing vegetables seeds on this page. You can get an early start and beat the pests with this help. Most important for organic gardeners and kitchen gardeners is to keep sowing and growing a wide variety of edible plants. You can grow lots of flowers from seeds. Variety is the spice of garden life, and you can it enjoy to the full by growing from seeds. Moreover, as I advise on my flower gardening page - appearances are better with repeat planting to establish your theme. So why not produce tray after tray of your own- grown plants.